Cherry Blossom Delivery in NYC-Time is Running Out! New Yorkers view Cherry Blossoms as a treat of spring. They’re splendor in nature is awe-inspiring. They bloom briefly as puffs of white and pink, reminiscent of clouds, and their petals fall gently like snow. If only there was a way to enjoy cherry blossoms in the comfort of your NYC residence. 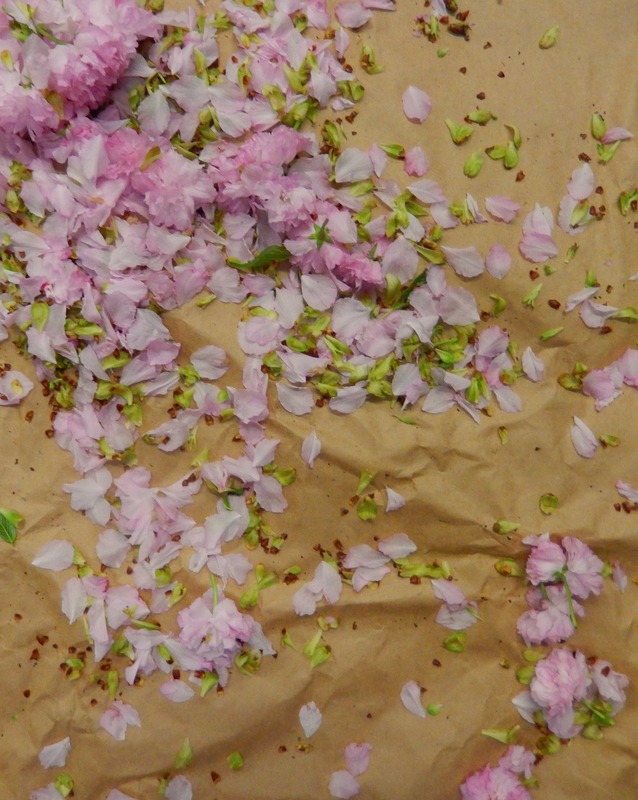 That was the thought that sparked Starbright’s cut cherry blossom delivery displays. Since the cherry blossom arrangements have gone online in NYC there has been proverbial run on the bank. Whether for the home or the business, New Yorkers can not get enough of the displays. However, they won’t last for long, time is running out to enjoy these displays. Cherry blossoms, sometimes called sakura, are from the prunus genus. Cherry blossoms are widely appreciated for their beauty and grace – they’re not just viewed on the tree, but blowing in the wind and blanketing the ground as well. For the interest of their patrons, the Brooklyn Botanical Gardens are protective of their blooms. Since removing anything from a New York City park is illegal, you won’t be able to take even a fallen blossom with you. That way, there’s more for everyone to enjoy. For generations and generations, cherry blossoms have been a source of inspiration and motivation, a sign of friendship and Spring. They are referenced in one of the first novels, The Tale of Genji, and in countless poems and artworks. Because of the brief duration of their blooming season, sakura are often used to symbolize the concept of mono no aware – which may be translated as an empathy towards the impermanence of things, life and love. The cherry blossoms remind us to appreciate the fleeting nature of all things and to embrace the moment. 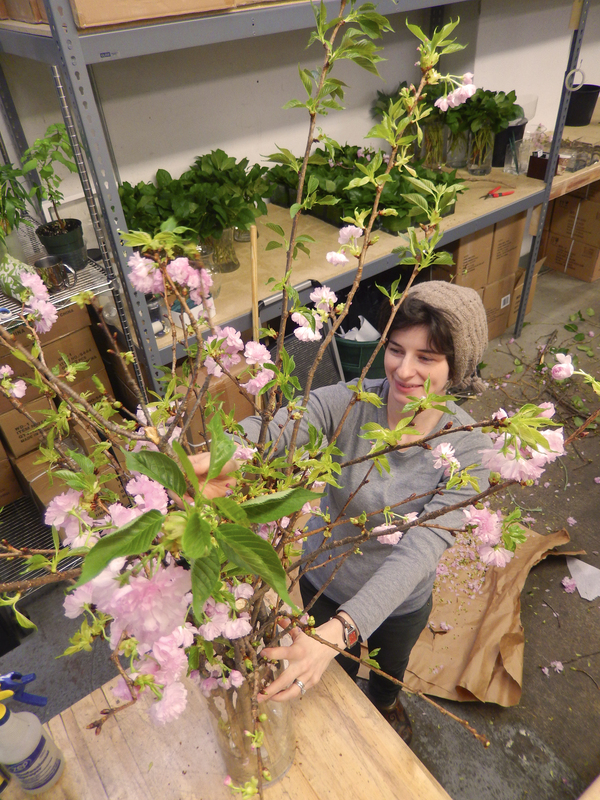 One of Starbright Floral Design’s favorite arrangements to make this time of year is composed of cherry blossom branches to help bring Spring to your home or office after a long, cold New York City winter. But come in quick! The season is short and these arrangements are always in high demand. If you decide to visit the Brooklyn Botanical Garden to see the blossoms, or Starbright Floral Design NYC in order to take some home, we hope you’ll share your pictures with us! Catch them if you can New York City! 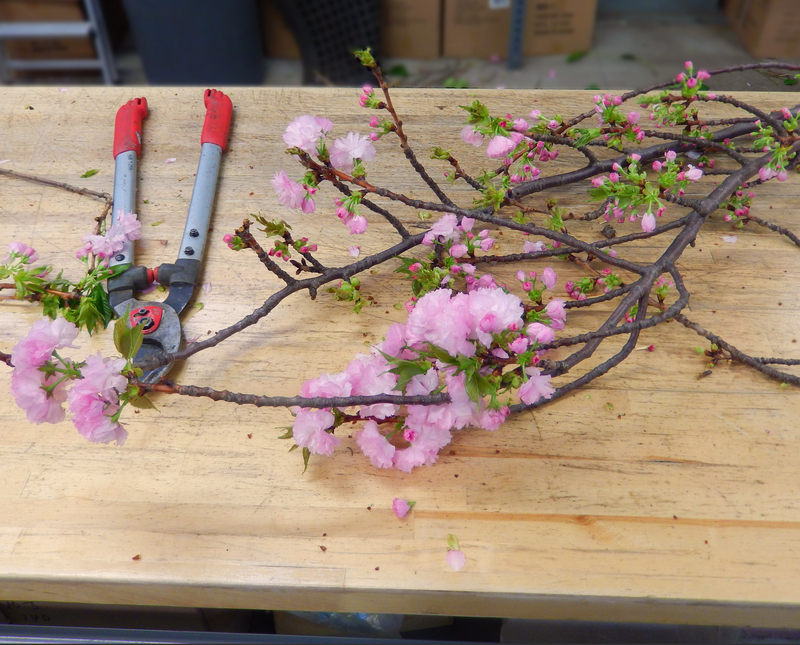 Cherry Blossoms don’t last long – catch them before they all fall down! Previous Previous post: NYC-Peony Flowers Are Back!